YOU’RE INVITED TO THIS VIP SPECIAL EVENT! The final homebuying phase of Clyde Smith Farms is here! 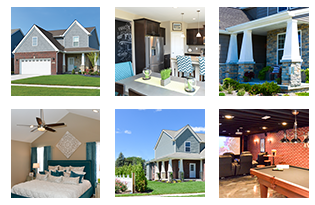 Award-winning HRS Communities will release 17 of the last 38 lots still available at a VIP Special Event this Saturday and Sunday. Local Realtors are calling Clyde Smith Farms’ market “one of the hottest in the Metro Detroit area.” With access to the acclaimed Livonia Public Schools and adjacent to the Holliday Nature Preserve Park, Clyde Smith Farms offers Craftsman-style new homes with modern layouts that feature an open-living concept and prices starting in the mid-$200,000s! Second floor can be finished for a total of 2,581 sf! Several of the properties available this weekend feature daylight lots – also called lookout lots – that provide a balance between walkout and standard lots. Homes that feature a daylight design can be built on a variety of land elevations and with full windows in the basement, so homeowners can use the lower-level space more creatively. Don’t miss this VIP Special Event this Saturday and Sunday, where we are accepting reservations on 17 (of the final 38) lots in our Phase III of Clyde Smith Farms! Open house tours are available from 11 a.m. to 6 p.m.
For more information, call us at 734-956-6303.